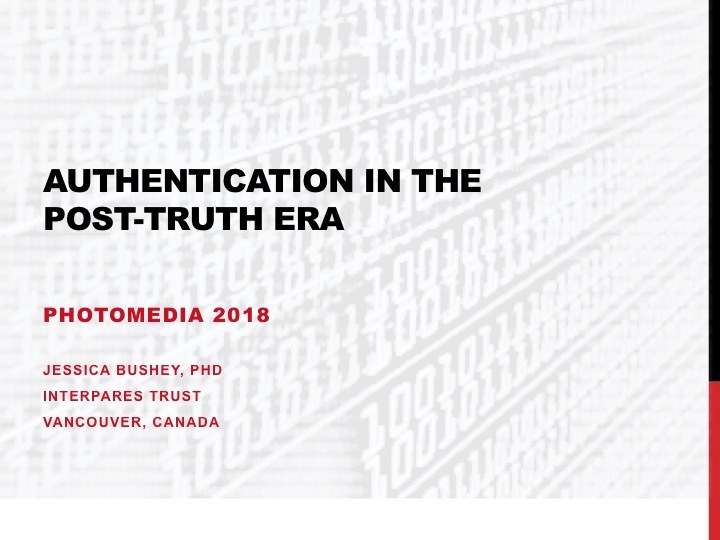 At the end of March, Jessica presented her research on trustworthy social media images at PhotoMedia 2018 in Helsinki, Finland. Every two years, PhotoMedia brings together photography theorists, artists, scholars and journalists to explore emerging issues in the area of visual culture and research. The theme this year was the “Post-truth Condition” and participants discussed topics such as, the impact of “fake news” on the epistemology of photographic images, artistic approaches to interrogating the authority of archives and appropriating archival images, and alternative uses of drone surveillance by activist and aboriginal communities. This is my third time presenting research at PhotoMedia and it is clear that my perspective as both artist and archivist provides insight into contemporary and historical visual practices. While there, I really enjoyed meeting and speaking with Edgar Gomez Cruz; David Ashley Kerr; Andreia Alves de Oliveira.